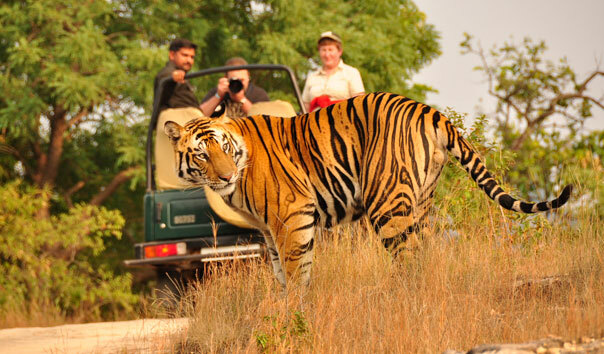 India is home to a rich diversity of wildlife and an equally rich variety of flora and fauna. The sight of a dancing peacock, a majestic elephant, the strides of a caravan of camels and the fearful roar of a tiger are incomparable experiences in themselves. 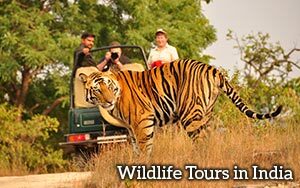 Holiday India offers well planned Indian wildlife tours and safaris to witness rare fauna from close quarters in their own surroundings. 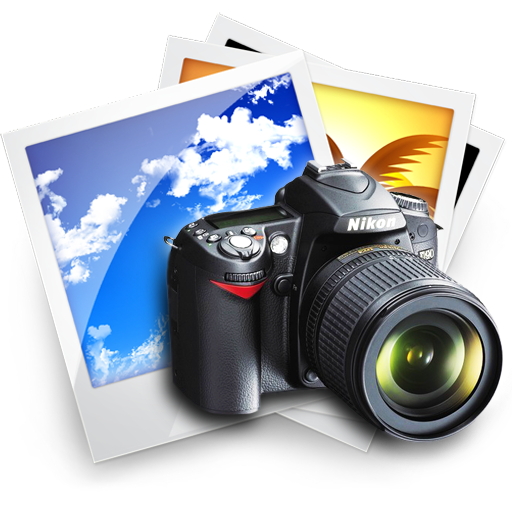 A wildlife safari tour in India is a memorable travel experience. Discover over 70 National Parks and more than 400 wildlife sanctuaries which have a variety of species across varied landscapes. Apart from the national parks and sanctuaries, Holiday India also arranges Camel Safaris and Desert Safaris in Rajasthan. There is no point coming to the Thar Desert if you don't go for the Desert Safari. That is why Sam Sand Dunes are becoming the major attraction in Jaisalmer. This is the closest place from where you can explore 'the Great Thar Desert'. Sam has a truly magnificent stretch of sweeping dunes, with sparse or no vegetation. The best way to get here, of course, is on camelback. Corbett National Park is a paradise for both the wildlife lovers and adventure seekers. 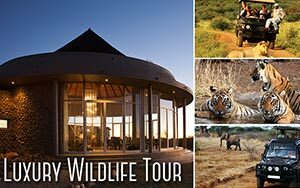 The Elephant or the Jeep safaris are the best way for visitors get an opportunity to see its splendid landscape and the diverse wildlife.